Do you always delay your decisions to wait for the perfect timing? Or maybe you’re just good in setting goals but lacks commitment in the long run? Perhaps the problem isn’t your indecisiveness but your will to put your plans into actions. Most of the time, the key to success is time management and determination. The world is full of endless choices and possibilities that we sometimes get confused about which or what course of action we should take. The funny thing is, we know what to do; we just don’t act until it’s too late. In short, we procrastinate. Chronic procrastination is a behavioral condition that can become a debilitating disorder if not treated immediately. It keeps us from making progress and brings a feeling of guilt, failure, and shame when we realize we’ve wasted our precious time. When we procrastinate making life-changing decisions, we hinder our success. As technology advances, the world we live in is also bound to change. Like how animals become endangered and eventually become extinct, so do our jobs. Technology is taking over the world; robots already replaced quite a number of line of work. Sooner or later, more and more jobs will be automated. Nevertheless, there are also jobs that will continue to grow and be in demand in the next few years. According to Forbes, the need for developers of almost every single industry will increase by 17% in the coming years. There are nearly 800,000 jobs for software developers today, and there is no sign of it slowing down in the next ten years. The year 2026 may still seem like a long way, but switching to Software Development is definitely one of the best career paths you could take. The complexity of understanding programming languages challenges the logical and analytical mindsets of humanity. Some people who wanted to become a web developer procrastinate for a long time before they would enroll themselves and receive proper training/education in coding schools or coding bootcamps. For that reason, their career growth and momentum might put into halt due to time lost. There’s this scary notion that codes are hard to understand. However, there are instances that fear isn’t the main problem why some people don’t pursue their dreams of becoming a software developer. So, why do they hesitate? The concepts of coding aren’t difficult; it depends on how you perceive it. Remember, every person has potentials to be successful in their own right, but hesitation and doubt can trick us to lose our confidence. Therefore, it’s vital to motivate ourselves as well. If you need some inspiration, watch this video. Being afraid of doing something new is normal. Though when it gets out of hand, it can overwhelm you a lot and can affect your decisions and performances. Our advice is for you to face and defeat your inner monsters. If needed, open up to someone you trust most to help you out. If you need some advice in overcoming your fear of failure, watch these videos. Well, it’s true that we need to utilize our brain to code, but it doesn’t mean that only the gifted ones can accomplish it. Some people already proved that we are never too old or too young to learn to code. Like the 82-year-old Masako Wakamiya who created the Hinadan app and 11-year-old Yuma Soerianto who designed and built Stack AR app, both recognized by Apple as the oldest and youngest developers in the world. In Coding Dojo, we believe that anyone can code. In coding, your race or gender won’t define your capabilities. Based on previous researches, the majority of employees at every tech company is male, but it doesn’t mean that women aren’t valued. Apple, Accenture, Intel, and other tech companies are already raising awareness to promote more diversity in their workforce. Workers and parents usually complain that their job and family occupy most of their time, so learning how to code is at the bottom of their to-do list. Some live far from the heart of the city where no coding institution is available. 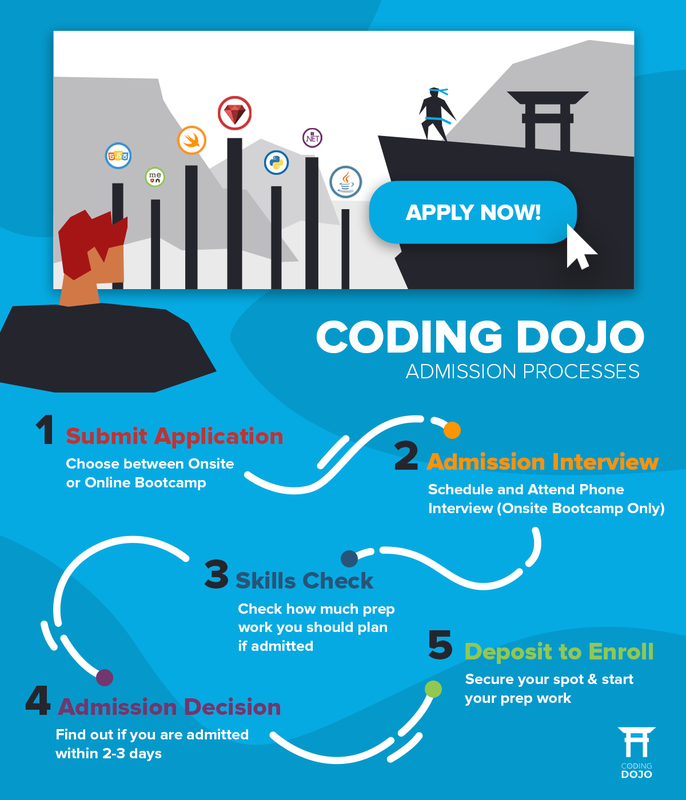 Coding Dojo has anticipated these challenge, so aside from onsite bootcamp we also offer an online version of our coding bootcamp. It can fit your busy schedule; you just need a stable internet connection, a computer, and your good to go. Money is really a big issue; it’s a deal breaker for most of us. We have students who had similar financial problems before, but we managed to help them anyway. How was it possible? In Coding Dojo, we accept students funded by Skills Fund, a student financing and quality assurance platform for outcomes-based skills training programs. From the year 2012 until now, coding bootcamps have become a significant game changer in the tech industry. These short, intensive bootcamps help potential web developers have a new, tech-focused career in only a matter of weeks. According to The Balance Careers, a leading source of personal finance and career information, The 7 Fastest-Growing and Best Tech Jobs of the Future are database administrators, software developers, web application developers, computer system analysts, mobile app developers, market research analyst and information research analyst. 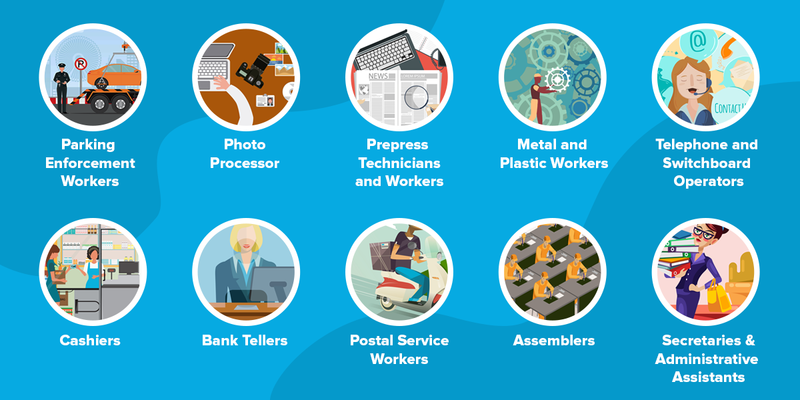 All of these jobs require coding skill; therefore we can say that coding is a must-have skill to stay in demand in the tech industry as well as in other job markets. At Coding Dojo, we don’t just teach you to code; we teach you how to learn. Whether you’re a beginner looking to make a career switch to tech or an experienced professional wanting to improve your skill set, we can get you there; just follow these five simple admission steps to sign up on our bootcamp. If you’re interested, click the links below to join our upcoming open houses or learn more about the bootcamp.